Stunning looking flower !! Such strong vivid colours !! Fine composition and exposure against the dark bckr !!! Beautiful shot & love the colors! WOW! That is stunning. Great shot! 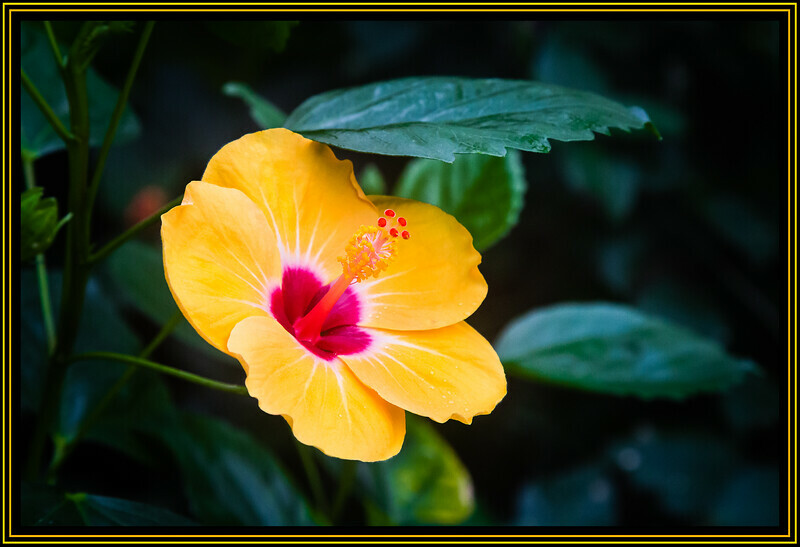 Beautiful hibiscus...love the color combo!